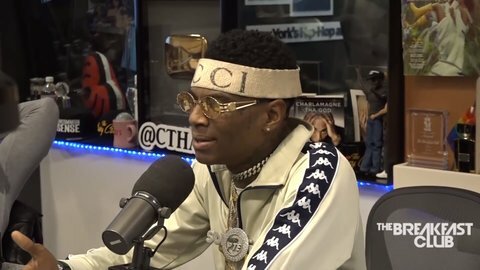 Soulja Boy Tell Em appeared on “The Breakfast Club,” this morning to make a statement. The rapper addresses his legacy, influence on social media and on the current state of rap. In an entertaining interview Soulja Boy wasted no time explaining why he felt he had the comeback of 2018. The 28-year-old mogul explained he isn’t hurting for money. Soulja Boy made it clear that he put a lot of rappers on, such as the Migos, Rich The Kid, and Famous Dex. He told stories of knowing them before the fame and flying them out to his house. 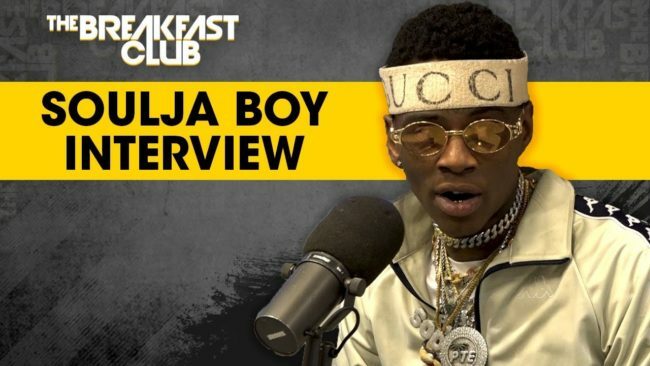 Soulja Boy also touches on his former beef with Chris Brown, him being from Compton, the attempted robbery that left him shooting a man and more. The most popular part of the interview is easily when he mentioned he made Drake what he is today. Soulja Boy refers to the “Miss Me” single from Drizzy and explains the opening line was from his song “What’s Hannenin.” He took shots also at Kanye West and Tyga. A lot of people on media came out to support his legacy and impact on the game. Meek Mill, Juicy J and more chimed in. Fans were taken back to the “Crank Dat” and ringtones era. Soulja Boy seems to be making some major moves for 2019. 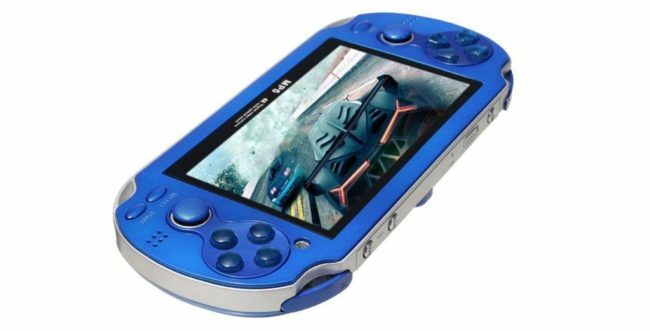 The rapper has a video game console called SouljaConsole and smart device called a Soulja Watch. The console features old classic games that were featured on the Sega Genesis and Nintendo platforms. He couldn’t speak on the matters because he has a pending lawsuit from Nintendo but claims the licenses were bought. A movie on his life will be released sometime this year as well. For the full interview watch the video below now!